According to Apple, iOS 9 has the biggest adoption rates compares to all other iOS version before. At September 19th, 50% of iOS devices already made the switch to the latest version of iOS. With this many devices upgrading, there was no doubt that there will be some sort of problems with the first version of the latest iOS. This time, it’s all about your mobile data. 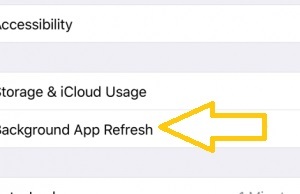 A big number of users reported spikes in their mobile data usage, direct after upgrading to iOS 9. This problem is connected to the newest iOS feature Wi-Fi Assist. 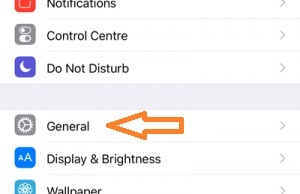 This setting, which is switched on by default on iOS 9, is supposed to support you “stay connected to the Internet even if have a poor Wi-Fi connection“, by switching over to mobile data, if you have a bad Wi-Fi reception or if the connection is slow in general. However, Wi-Fi Assist might cause more problems than actually help you. 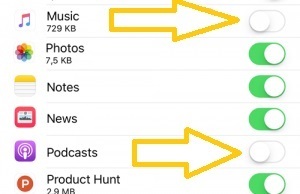 Indeed, Apple was slapped with a $5 Million USD class-action lawsuit for not notifing users of increased data usage and enabling this draining setting by default on all devices running iOS 9. After the initial complaint Apple changed its website saying that Wi-Fi-Assist “may use more cellular data”. 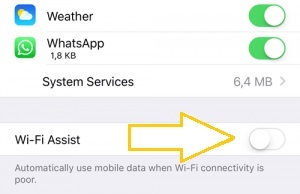 Turn off Wi-Fi Assist is totally easy. Simply open your Settings, go to Mobile Data (Cellular), go down to the very bottom and toggle the On/Off switch next to Wi-Fi Assist. If you’ve done that you’ll likely see an overall decrease in your mobile data usage in the future. However, there are some additional features you should change to save a good amount of your precious mobile data, if you’re not on an unlimited data plan. You also might want to completely turn off mobile data access for some apps that you won’t need all the time. In this case, we have App Store, Game Center and Music disabled at all times. Again open Settings > Mobile Data (Cellular) > scroll through the list of apps and switch off mobile data for those you don’t need, or only use when you have a Wi-Fi connection available. 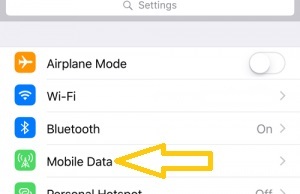 If you have more thoughts on how to save mobile data on iOS devices like the iPhone, please leave a comment. We always appreciates a helpful tip and will expand this article,if it’s really useful!